Some personalities are so charming that we can’t help but admire and respect them. They make a huge difference in the society, either with their personality or their deeds. 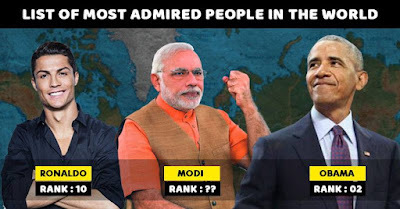 In order to appreciate further, a UK based website YouGov released the list of World’s Most Admired men 2018. Well, it’s a research company and conducts surveys from time to time. Well, the data for this survey was throughout the year & finally, an annual report was released. Moreover, it covered 35 countries and took opinion of 37,000 respondents. Luckily we have Amitabh Bachchan and Narendra Modi in the top 10 list; wondering who topped it? 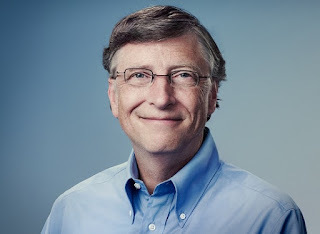 Well, it’s the founder of Microsoft Bill Gates. 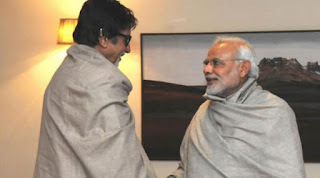 Narendra Modi acquired the 9th position while Amitabh Bachchan got the 10th position. Did you expect to see someone else in the top 10 list?